It is indeed a tale as old as time, or at least as old as 18th century France. 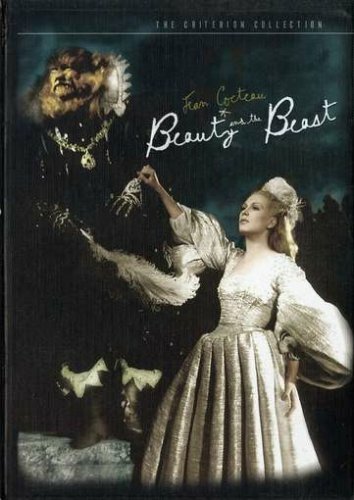 This 1946 version of Beauty and the Beast is the film adaptation that stays the most faithful to the original fairy tale, which replaces whimsical song and dance numbers heavily featuring cutlery with a far more traditional story of a downtrodden girl who becomes a princess. Belle is a beautiful young woman who suffers from the irritating inability to say no to her family every about anything. Her father, once a wealthy businessman with status, has fallen on hard times. Since Belle’s two shrewish sisters are “too beautiful to work” and her brother is a shiftless layabout, most of the responsibilities of managing the house fall to her. I’m going to draw a line in the sand and say that I don’t care for this type of self-sacrificing heroine. Sure, you shouldn’t be selfish, but if you always do what other people want, you’re just letting them take advantage of you. So Belle’s not great – I think that whenever you’ve got a main character whose only defining quality is that she’s “good”, you’re probably in trouble. So the father finds out that one of his lost shipments has been recovered, and sets off immediately to get those dollar dollar bills y’all. To the surprise of exactly no one, Belle’s materialistic sisters ask him to bring them back expensive trinkets, while Belle, always the one to make others feel bad about themselves, self-righteously asks for a simple rose. Ironically, her seemingly benign request is what gets everyone in this whole mess to begin with, but that is neither here nor there. Because after the father goes to investigate his shipment, he ends up travelling through the forest and happens upon the Beast’s castle, where he is led by some truly terrifying disembodied arms that are performing random household tasks. Despite the significant creep factor, he’s allowed to traipse through the castle unmolested – that is, until he pushes his luck and decides to go to the garden to pick a rose for Belle. The Beast isn’t having any of that. For the crime of Grand Theft Flora, Belle’s father must pay with his life – unless of course he has a beautiful daughter who might be willing to take his place. That’s not at all creepy or suspicious, right? After all, justice is blind unless the girl is hot. Of course, thanks to Stockholm Syndrome and the fact that this version of the Beast has very few beastly qualities except for all the fur, the whole falling in love thing happens quicker than you would expect. And probably quicker than it should, I mean I can’t emphasize enough that she is being held in this castle under duress. So there’s all this family drama that happens where Belle is able to return home for a short amount of time as long as she promises to return, then her family plots to kill the Beast and steal his fortune because they are The Worst People Ever. But quite frankly it is a very tedious section of the film so I’m going to go ahead and skip over this to get to the part that everyone who has seen this film remembers: the ending. 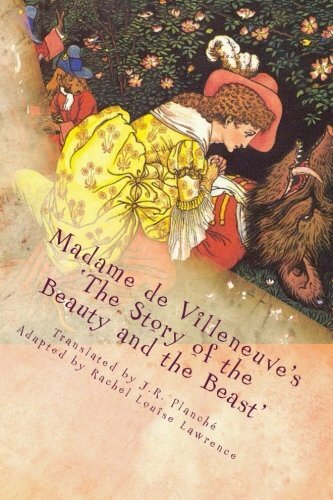 So Belle has ended up breaking her promise to return to the Beast within seven days, after her sisters manipulate her in believing that they love her. (Reminder: Worst People Ever) Which means that the Beast begins to die of grief from being separated from her, making the Beast come off as sort of weak and undesirable and also super desperate. In the meantime, Belle’s brother Ludovic and a family friend Avenant (who is sort of the inspiration for Gaston if you squint really hard and don’t ask too many questions) decide to break in the Beast’s vault, but before they are successful, one of the nearby statues shoots Avenant, who promptly dies and turns into the Beast. Elsewhere in the woods, Belle is comforting the dying Beast -- that is, until he does a weird rewinded fall back into a standing position, somehow returned to health and human form. And he inexplicably looks like Avenant (FYI, they’re all played by the same actor, Jean Marais). Don’t think about it too hard. Now both attractive humans, they are free to love one another and live happily ever after without society’s shallow derision. The End. I’m going to start with the positive: this movie is incredibly beautiful. 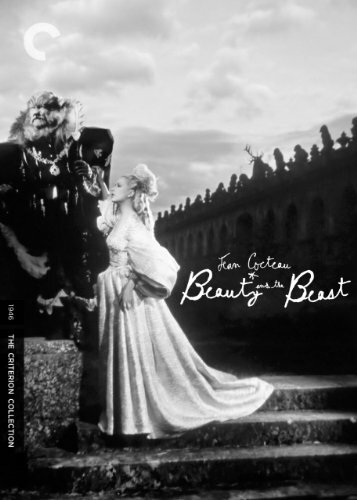 The artistic design of the castle is sumptuous and innovative, and the Beast makeup is pretty darn impressive for a European film made pretty much immediately following World War II, where supplies were so limited that director Jean Cocteau had to keep switching between types of film based on what was available and people repeatedly broke into the set to steal the curtains from Belle’s room. But although all of the artistic elements of this film are beyond reproach, it fails in its efforts to create an engaging adaptation of the original fairy tale from a story perspective. The 1991 version captured the imaginations of audiences because every single character, even the ones playing objects, was unbelievably charming. Whatever this film has in its favor (and it does have a number of things, don’t get me wrong), it runs surprisingly low on charm. Belle’s characterization is dead on arrival, and there’s nothing about her that makes her particularly interesting or relatable. And there’s no one else who really carries the story to make up for having a weak lead. For that reason, I respect this film for its creativity and artistic ambition, but I don’t particularly enjoy watching it.